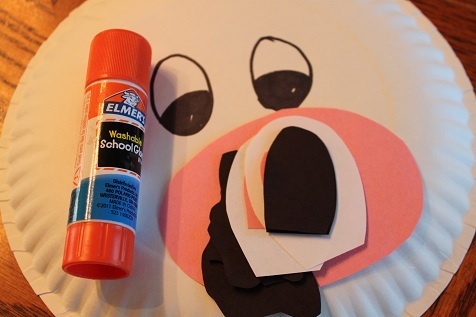 Continuing with our farm theme, we made a cow this week. 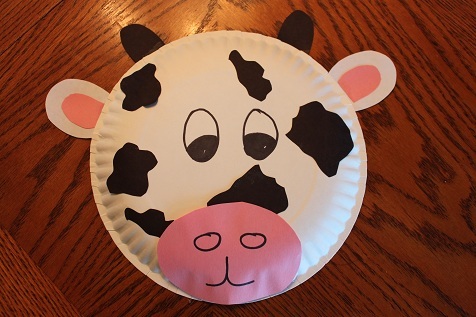 We used a paper plate, various pieces to glue onto the cow and a glue stick. 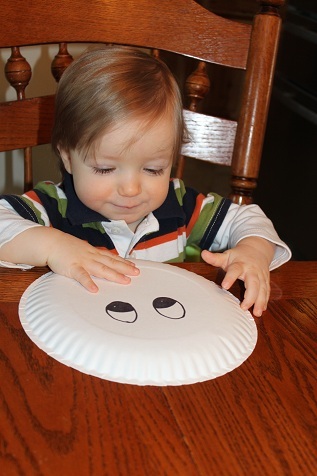 I drew eyes onto the plate ahead of time. 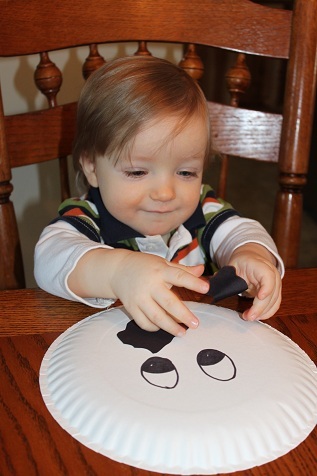 I let Hunter check out the plate, which he thought was a lot of fun. 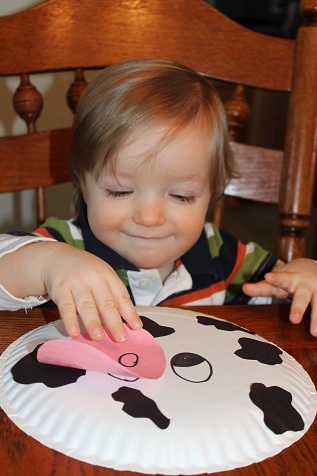 I put glue on the back of the spots and then let Hunter put them onto the plate. He seemed to like the stickiness. Then he added the nose/mouth. I added the ears and horns.